Education Minister calls on government to recognize Armenian Genocide following Turkey;s expulsion of Israeli ambassador. Education Minister and Security Cabinet member Naftali Bennett responded to Turkey's expulsion of Israel's ambassador and condemnation of Israel following the deadly riots on the Gaza border. "Erdogan is soaked with Hamas terror from head to toe. It was a severe mistake to sign a compensation deal with him, worth tens of millions of dollars, following the Marmara incident," Bennett wrote on his Twitter account Tuesday. "At the time I said he would return to hurt us, and I even voted against that shameful agreement, which unfortunately passed in the cabinet. 1. I approached the Knesset Speaker to authorize an official Israeli recognition of the Armenian Genocide committed by Turkey. 2. I requested the Prime Minister discuss with the Cabinet recognition of the rights of the Kurdish minority in Syria and the resulting recognition and autonomy. 3. I ask you, the Israeli public: cancel your trips to Turkey. Immediately. Go on vacation in the Galilee or Golan. You too play a role. 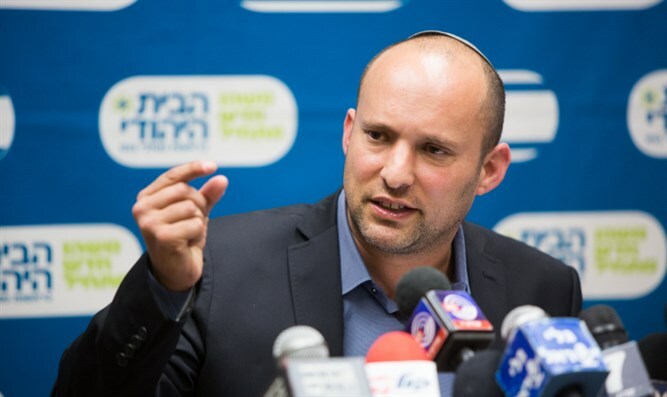 "Israel will no longer hold back from defending its honor and will safeguard its borders and citizens," Bennett concluded.